Book Review: There are very few Novels with a cycle sport theme and fewer that can handle the scrutiny of anyone who knows their two wheeled sport inside out. But 'High Road Chasing the Yellow Jersey' by ex-International rider Dave Chauner, really does cut the mustard. John Howard gives us his thoughts on this true to life adventure. I was in the 7th grade, when I checked out cialis of the library Claire Huchet Bishop’s novel The Big Loop published in 1955. The book was illustrated by Charles Fontsere, and it stirred my passion for bicycles. The primary character was Andre Girard who fit the Horatio Alger rags-to-riches myth with a European flair, a young boy overcoming the odds to become a champion racer in the Tour. Andre was the fictitious embodiment of many true bike racing champions. The story resonated with me, and Fontsere’s illustrations danced in my brain, igniting my cycling career. Dave Chauner’s High Road protagonist on the other hand breaks this mold. Dave’s character, Kurt Dufour comes from an affluent Connecticut family. He is a talented Dartmouth runner and occasional cyclist, barely an adult when he stumbles into a complex relationship with a deeply troubled young woman hell bent on destruction. Kurt is accused of murder, sending his life into turmoil; a finger pointing tight knit New England community is rocked with scandal. Although he is justly acquitted of the charges, emotional scars remain. In a twist of page turning fate, Kurt’s father, Peter, who three decades earlier was a professional cyclist with a career derailed by a near death crash, enlists his former teammate and pro team manager Otto Werner to assess his son’s potential as a racer. The unspoken process of bringing Kurt up to speed takes five years. 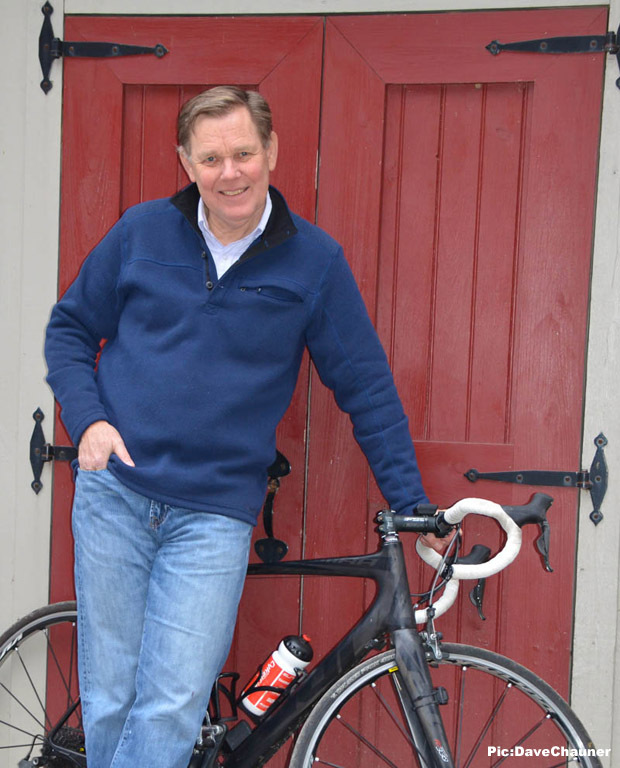 Under Otto’s tutelage, Kurt progresses into a spot on the premier American team of the era sponsored by a cycling enthusiast and titanium industry giant. The team includes enough talent to get into the fabled super bowl of bike racing. The world is ready for an American cyclist to challenge an arrogant five time Tour de France winner of questionable repute. From his background as a top US cyclist, Chauner knows the physiology and psychology of a performer, and how the nuances of shaded athleticism change the scenery. As a race organizer and sports writer he takes us on a suspenseful multi-dimensional joy ride as we follow an American media team’s coverage of the Tour. The personalities of riders are often juxtaposed with those of the TV crew—some you will recognize—and overlap with grinding resonance, potential romance, replete with a nefarious and mysterious undercurrent that threatens to detonate the sport with greed, power and money. But as we have seen in the real world, controversy ultimately does not destroy our sport because true champions are bigger than the tainted players and manipulators, so life goes on. And so it is with High Road, an engaging novel that leaves the door wide open for a sequel. Do we need a series here Dave? At last check I counted over a hundred published western genre novelists who turn their characters into larger-than-life portraits that stick to our memory. Chauner does this with his cycling characters. You will understand and appreciate them because you also helped create them. They are us, so fellow cyclists read, or listen to this stuff and let’s roll with a new cycling genre. I like the thought of that. 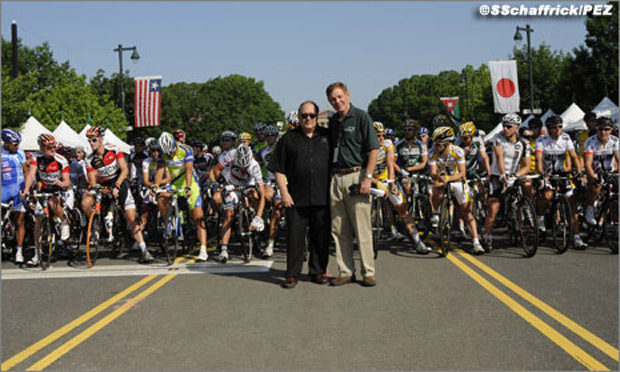 I have known Dave Chauner for 48 years, way before cycling was cool to do. We rode together on the 1968 and `72 Olympic Teams, the US national team in various international stage races, on the nation’s first sponsored club team-by Raleigh-The Century Road Club of America, out of Princeton, and finally on the US military team, stationed in New York and later Southern California. My specialty was road and stage racing and Dave generally rode in loyal support, but my wheels had just begun to roll in 1967, when he beat me for the podium at the Wuchter Memorial 50 mile circuit race in St. Louis, where he was going to school at Washington University. 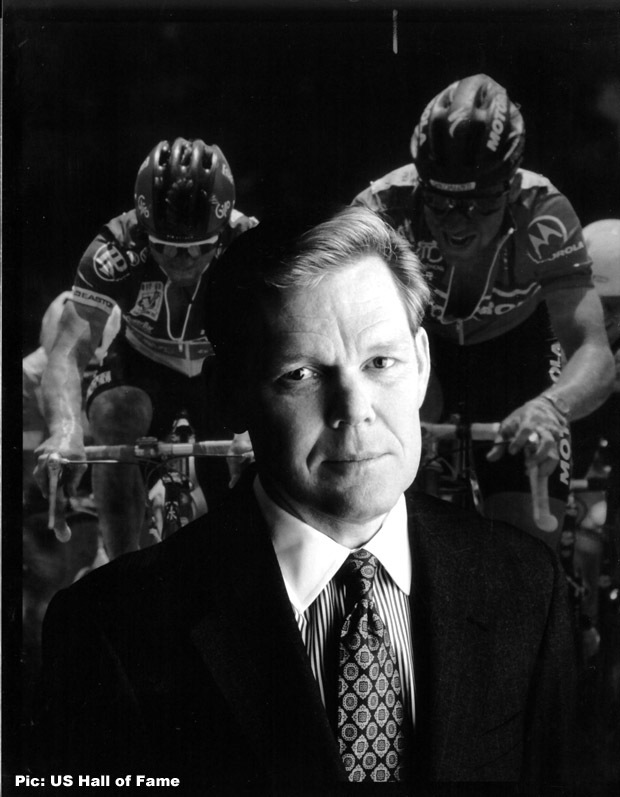 He was a Pan Am team rider, stud of the field, and my first cycling mentor. He was also impressive with his final stage victory in the British Milk Race in `75; now with a wealth of understanding of how our game is played, he is a novelist. 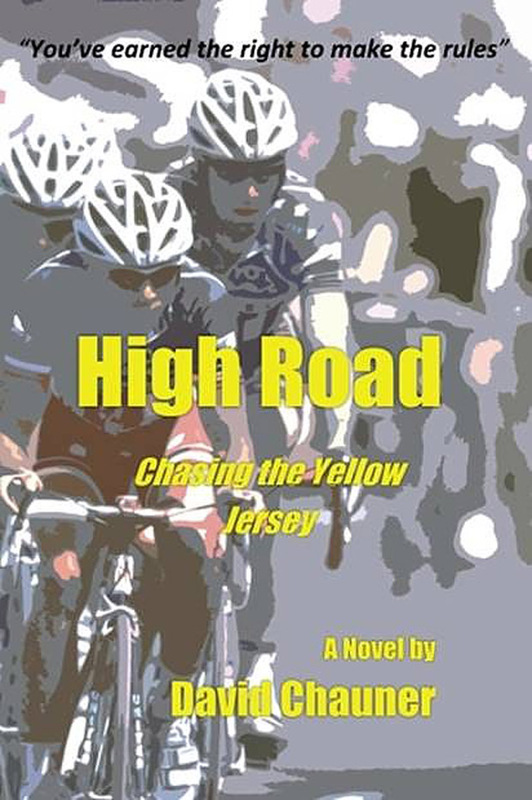 For more information on the book and author, please visit the author’s website: www.davidchauner.com High Road, Chasing the Yellow Jersey is available through Amazon as an ebook or paperback.